Michael Rapaport’s riveting hip-hop documentary Beats Rhymes & Life gets uncomfortably close to A Tribe Called Quest, one of the most important and influential groups of the past 25 years. It’s two things at once: a loving, magnetic, gloriously alive tribute to a golden age when a group of brilliant young black men and women joined forces to reinvent hip-hop in their own funky, Afrocentric image, and the most penetrating psychological study of a creative partnership in perpetual peril since Metallica: Some Kind Of Monster. Why do the sunniest groups often have the darkest, most fucked-up internal dynamics? Listening to A Tribe Called Quest, the Ramones, or the Beach Boys, few would imagine that the principals in each group were locked in decades-long psychodramas. Rapaport smartly focuses on the yin-and-yang duo of Q-Tip and Phife Dawg, the group’s lead rappers, and a fascinating study in contrasts. Phife Dawg is heartbreakingly vulnerable, a mild-mannered, sweet-natured little man with an excitable, girly voice and a debilitating case of diabetes. Everything about Phife is sweet and messily human, even the addiction to sugar that put his health and the group’s future in peril at the height of its powers. Q-Tip emerges as Phife’s polar opposite, a quietly authoritarian bohemian control freak and musical genius. He’s cold and calculating where Phife is sincere and earnest, ridiculously dapper and well-preserved where Phife looks like what he is—a sick, defenseless middle-aged man. Beats Rhymes & Life begins as an ecstatic celebration of a group that changed pop music while its members were still young enough not to be intimately familiar with their limitations. 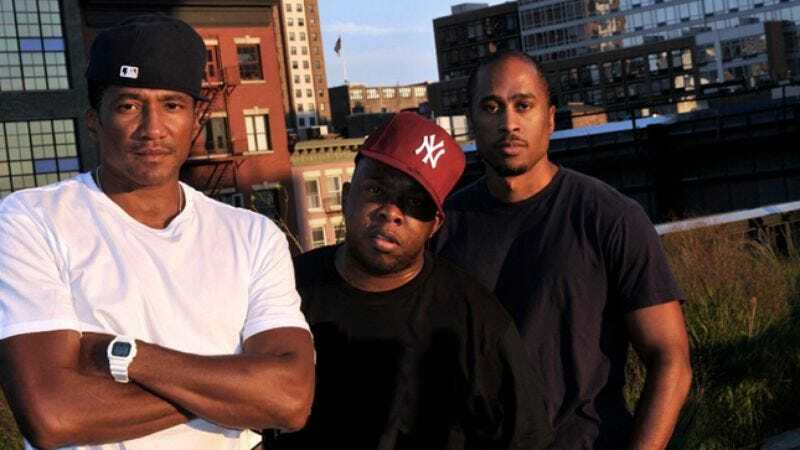 Q-Tip’s perfectionism helped elevate hip-hop to an art form, but as Phife got sicker and the vibe within the group got frostier, Q-Tip’s controlling ways began to take on a bullying, hectoring quality. Poignant and powerful, complex and melancholy, the film ends with rehearsals for yet another money-grubbing comeback tour. For one shining moment, these complicated men are moving and grooving in unison once again, united by the music that is their lasting legacy, even if by that point, we’re all too intimately acquainted with the abundant darkness just out of the frame.